A select but enthusiastic audience — some of whom had travelled from Lincoln for the event — gathered upstairs at The Old Angel on Sunday 27 November 2005, to enjoy performances from Wildcard, Gimp Fist and Pointy Boss's own twenty-fourth public outing. 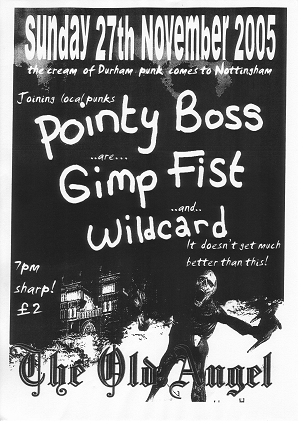 Despite the modest turnout, and the even more modest door receipts, Wildcard and Gimp Fist both enjoyed the chance to play further afield from their native Durham, while Pointy Boss got the opportunity for a second gig in quick succession with new drummer Shel. 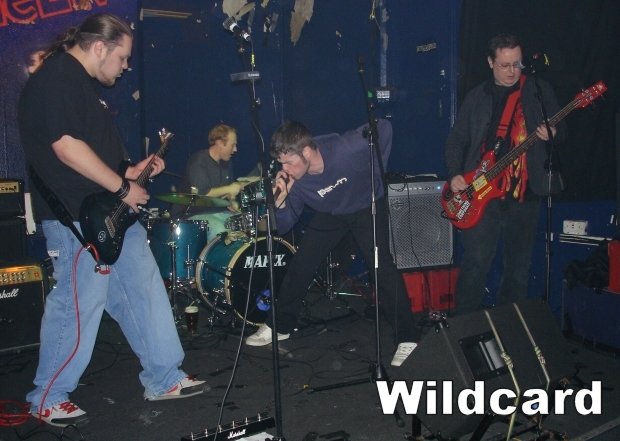 On their web site, Wildcard report that the gig: "was a right blast! Maybe a bit disapointing with the turn out, but I've got to say good times were had by all!" 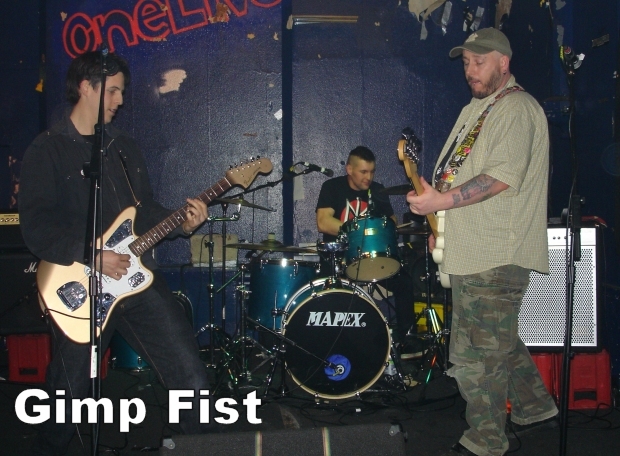 They also add that Gimp Fist: "were totally fantastic in Nottingham and sure as hell can't wait to see them again!" 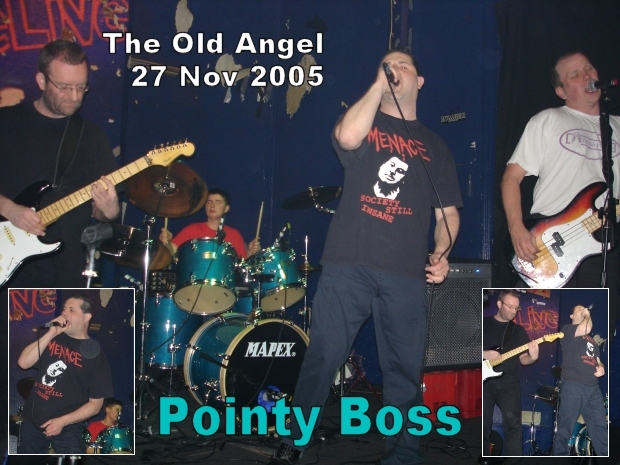 The sound quality in The Old Angel lived up to its deserved reputation, but even as the noise slam-danced its away around the building, the energy and enthusiasm of all three bands still cut through loud and clear. Check out the Wildcard site, and listen to some of their stuff.